Podocarpus macrophyllus is a dioecious, slow-growing, evergreen conifer with a dense, upright habit native to China and Japan. 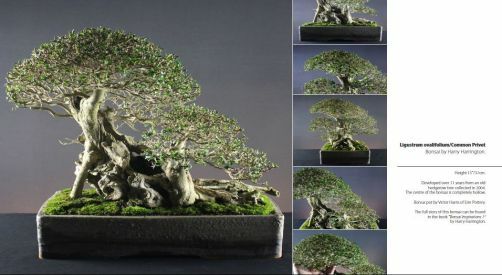 It has yew-like dark green foliage to 6cm that gives it its common name 'Chinese Yew'. Dwarf cultivators are now available with shorter needles though these are also very slow growing. POSITION Podocarpus can survive in poor light but prefers full light out of the mid-day sun in Summer. Prefers temperatures above 10°C but will survive light frosts. Can be grown indoors in a well-lit position during the Winter. FEEDING Every two weeks throughout Spring to Autumn; when indoors during the Winter, feed every four weeks. Likes slightly acidic soil so should be fed occasional doses of Miracid or similar. REPOTTING Slow growing roots, repot every two to four years in Spring, trimming roots only lightly. PRUNING Pinch back new growth as necessary. Hard pruning results in prolific back-budding. Wire young wood to shape; old wood is very difficult to bend. PROPAGATION Take semi-ripe cuttings from upright leading shoots in late Summer. PESTS AND DISEASES Relatively trouble free though all Podocarpus species are especially susceptible to root rot in poor-draining soils. STYLING Formal and informal upright styles with single or multiple trunks. Suitable for driftwood features. Suitable for all sizes.